Amit Dhankar expressed his hope to seal the 74kg berth at the World Championship. Amit Dhankar, the 2013 Asian wrestling champion, defeated SSCB's Vinod Kumar 5-1 to clinch the gold medal in the men's freestyle 74kg category, while Mousam Khatri outclassed Satyawart Kadiyan 3-0 to win the 97kg final at the Tata Motors Senior National Wrestling Championship, which concluded in Gonda, Uttar Pradesh on Sunday. Dhankar displayed an impressive combination of aggression and defence to claim his seventh national title. In the absence of star grappler Sushil Kumar, Dhankar made the best out of the given opportunity, seeking a chance to represent the country at the international level. He acknowledged Sushil Kumar after the victory and expressed his hope to seal the 74kg berth at the World Championship. "I am happy with the way I fought in the tournament. Sushil bhai guided me before coming here. He is my idol and I am hopeful I will get a chance for the World Championship next year," Dhankar said in a release. 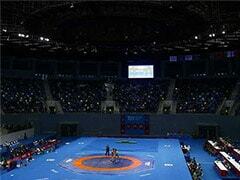 In the same category, Railways' Praveen Rana and Delhi's Pradeep Tomar settled for bronze medals. Railways' Rahul Aware registered an emphatic 10-0 win against Goa's Abhimnayu Yadav in the 61kg final. In the 97kg final, Haryana's Mousam Khatri hogged all the limelight after he beat Satyawart Kadiyan 3-0 to claim the gold medal. Kadiyan gave tough competition to the 2010 Asian Games bronze medallist. Kadian started aggressively but Khatri's remarkable defence denied him any reward. 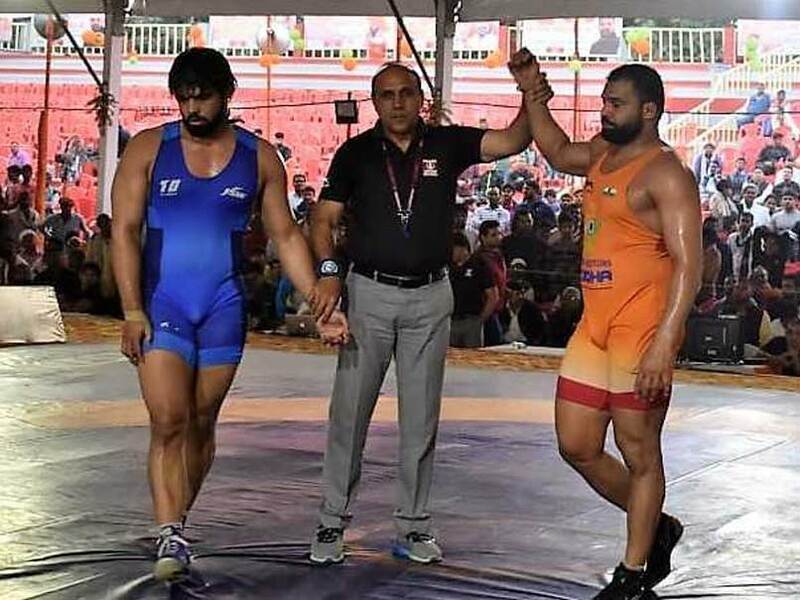 Young wrestler Deepak Punia secured a bronze medal after losing the 86kg semi-final to Railways' Parveen, who eventually defeated Pawan Kumar 5-2 to claim the gold medal. Indian Air Force's Harphul Gulia, who earlier won the Nationals in 2016, won his second National title with a 10-4 win over Haryana's Parveen. "I was desperate to win this gold and put up a good show. I want to focus now on international level and qualifying for the Asian Championship will be my first target for next season," Gulia said. Railways dominated the Nationals and claimed the team title with 198 points and were followed by SSCB (133) and Haryana (123).